Present state: Assumed demolished but some traces of what appears to be a buried platform can be seen. Notes: St. Ives Station was unstaffed from 6th June 1967. The Cambridge to March line proved reasonably popular through the first half of the 20th century but with the post war popularity of the car, passenger numbers began dropping through the 1950's. Beeching Axe despite the stations (except Histon) being sited some distance from the community they served. The passenger service between Cambridge and St. Ives survived until 5th October 1970. There have been numerous campaigns to reopen the line and shortly after closure South Cambridgeshire District Council and Cambridgeshire County Council agreed to pay for the reinstatement of the passenger service between Cambridge and St. Ives but the decision was reversed at the last minute. Occasional passenger charters visited the branch until the late 1980's and in 1979 The Railway Development Society organised the first of the popular 'specials' from Swavesey to promote the reopening of the line with destinations such as Lowestoft and Christmas shopping in Stevenage; these continued until 1990 but the line was not formerly closed until 2nd August 2003. Following the final closure of the line most of the track remained in situ apart from the last few miles to St. Ives. The St. Ives bypass (A1096) which opened in 1980, was built on the course of the line from the north into St. Ives, although it just misses the site of the station, the remains of the station was cleared at this time. In 1994 the County Council put forward a proposal to purchase the land and the surviving track and restore a passenger service; this never happened. In the late 1990’s the Government launched the Cambridge to Huntingdon Multi-Modal Study (CHUMMS), chiefly to address the chronic local traffic congestion. One of the proposals was for a guided busway along most of the Cambridge - St. Ives route. There was also a further proposal to reinstate the railway but this was rejected by the council who claimed that the guided busway was the only option on the table. The busway would involve replacing the track with a concrete guideway and demolition of the stations to provide car parking. Buses will travel on the guideway along the disused railway line from St. Ives to Cambridge. They will then continue through Cambridge on normal roads and rejoin the guideway at Cambridge Railway Station to travel through to Addenbrooke's Hospital and Trumpington Park & Ride. In July 2003 a group called Cast.iron was formed putting forward a proposal to reopen the line from Cambridge to Huntingdon in opposition to the proposed guided busway. They proposed to reopen the line in three stages. Initially they were hoping to reinstate a passenger service over the existing track between Cambridge and Swavesey but their long term plan was to electrify the line and extend the track back into Huntingdon with a reconnection to the East Coast Main Line providing a much-needed strategic link for local, regional, national and possibly international services for both passenger and freight traffic. The busway scheme went before a public enquiry in 2004 and despite local opposition and the campaign to reopen the line between Cambridge and St. Ives, construction started in 2007 with most of the remaining track being lifted. The busway is due to open in spring 2009. 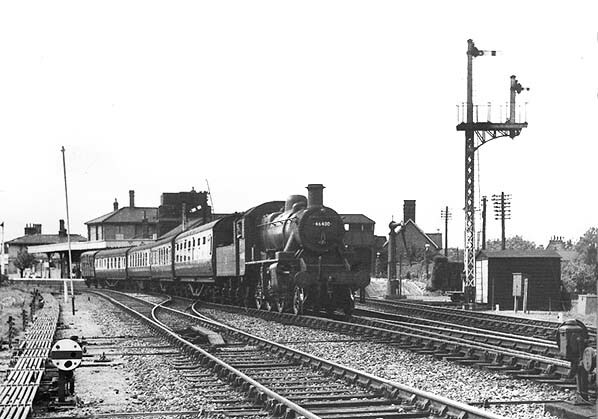 Two annual passenger excursions ran from St. Ives to Ely en route to Great Yarmouth and Hunstanton until 1958; passengers were conveyed from all branch stations. The section of the line from Bluntisham to Sutton was closed to all traffic in October 1958 and the tracks lifted, the line between Sutton and Ely was retained to handle dwindling sugar beet and vegetable traffic but eventually closed on 13th July 1964. The west end of the line between St. Ives and Bluntisham which had remained open to serve the mill at Bluntisham, but this too lost its freight service from 5th October 1964. 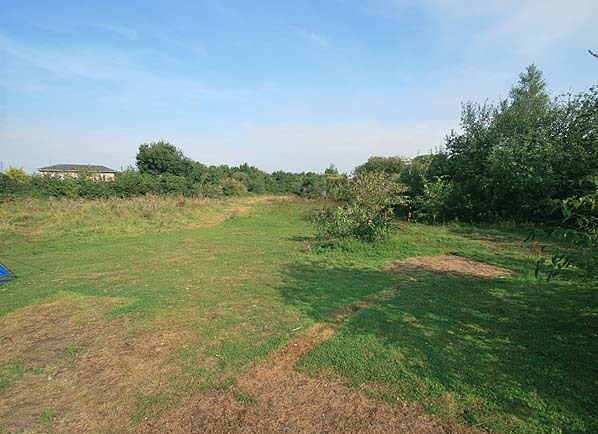 The remaining track was lifted within a year of closure and much of the trackbed reverted to farmland or because of its raised position above the surrounding fenlands, as access roads. In 1851 the line from the 1847 Huntingdon station was extended to a junction with the GNR. In 1862 the East Anglian Railway was incorporated into the Great Eastern Railway. Matters were further complicated in 1866 when the Midland Railway reached Huntingdon from the west to form an end-on junction with the St. Ives line near Huntingdon GNR station. On 1st May 1883 the town acquired yet another Huntingdon Station with the extension of the Ely & Huntingdon line close to the Huntingdon GNR station. To avoid further confusion the original 1847 Huntingdon Station was renamed Godmanchester. Other web sites: Cast.iron - The Cambridge & St. Ives Railway Organisation. 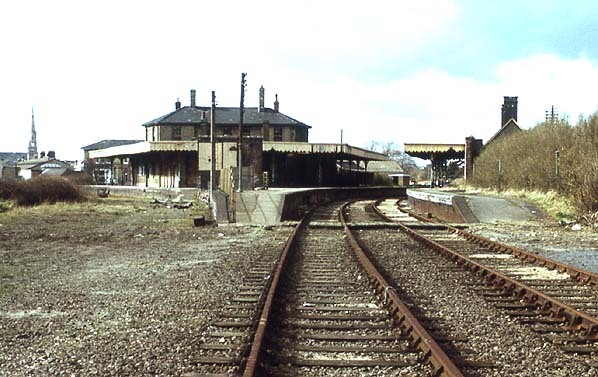 St. Ives Station in March 1976, the platform for Huntingdon (closed in 1959) can be seen on the left. The track had just been lifted when this photograph was taken.